Your company bought an email broadcast, and you get to design and build it! Before you get started, check out our Frequently Asked Questions page and 5 Tips for Building Broadcasts. Here's how a broadcast works: you supply the content, we supply the audience. You've invested your marketing dollars into an email broadcast, so it makes sense that you want to strategize and dazzle. We have provided the following guidelines to help you build a successful broadcast that meets our required specifications. We'll deliver it to their inboxes, it's up to you to convince them to open it up and read it. Take the time to write a subject line that will grab their attention. Example: Award winners announced at annual conference. Please note that certain words may be removed from subject lines including but not limited to "article," "news," "breaking news," "report," or "story." Our editorial staff reserves the right to reject certain subject lines. Let readers know what's in it for them to visit your site. Offer a white paper in exchange for their contact information, or let them see a demo on your latest product. Keep the message simple and clear to the reader, and make it easy for the reader to get what you're offering. Include an explicit call-to-action, such as "Download white paper" or "Schedule a demo." Create a unified message between your broadcast message and your website. Roughly 40% of our broadcasts are viewed on a mobile device. 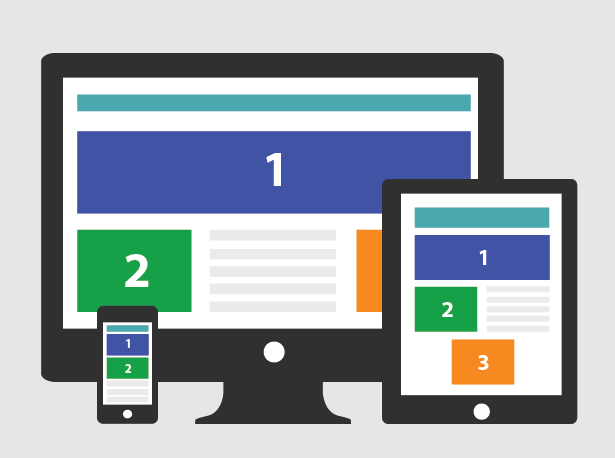 With responsive design, your broadcast reaches the widest audience possible, regardless if they're reading it on their desktop computer or on their phone. On behalf of folks who like to read their email on the go, please don't make them scroll left and right, or pinch and expand the screen in order to read your message. We offer two email templates you can use as a starting point for your broadcast. 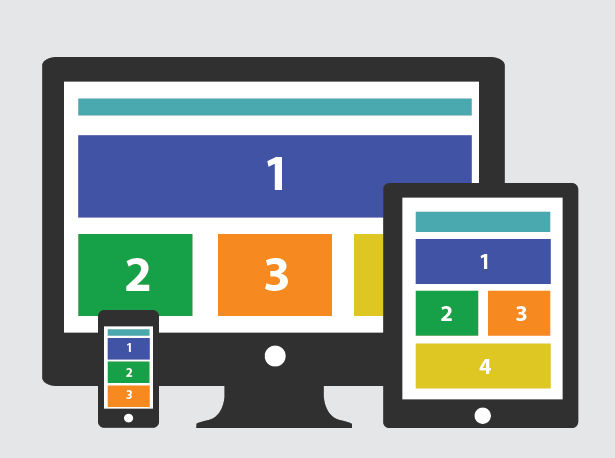 The responsive broadcast template uses media queries to determine the size of the user's device, and then adjusts the sizes of the tables and images. The fluid broadcast template uses a "spongy coding style" that allows the content to size itself for various device sizes. It's up to you to decide which one works best for your message. A fluid design works on more devices, but limits your layout options. There is no limit to the number of graphics you may use, however, we recommend keeping it simple. Some recipients block graphics, so we recommend using a mix of text and graphics, rather than putting your entire message into one large graphic. All graphics used in special broadcasts reside on our servers. Some mail clients (i.e., Outlook, Hotmail) do not display images that are set as backgrounds for tables and divs. Instead, the background color will show through. Additionally, please note that certain mail clients (i.e., Outlook) display only the first frame of animated GIFs. You may image-map portions of your graphics, however, we do not recommend restricting clickable portions of graphics. Prior to submitting your broadcast materials, you might want to take advantage of an online email testing tool, such as Email on Acid, so you can see a snapshot of what your broadcast looks like in any given mail client or device. You can also test for deliverability to determine whether your broadcast is likely to be flagged as spam. We test each broadcast in a variety of email clients (i.e., Outlook, Gmail, etc.). Our goal is to make the HTML layout as simple and universal as possible while maximizing your ROI. To help meet that goal, we sometimes make formatting tweaks to ensure that your message is displayed correctly and that it reaches the broadest audience possible. Check out our Frequently Asked Questions page if you have other questions not answered here. Special characters - Feel free to use them in your subject line or the message body. You will find HTML codes for special characters all over the internet. We get ours at https://www.toptal.com/designers/htmlarrows/symbols/. Click tracking - By default, we will provide tracking for all the links in your broadcast message. Our tracking system enables us to see open and click rates, as well as clicks for each link in your broadcast. Third-party tracking is available upon request. Stylesheets - Please avoid using external stylesheets. Instead, define your styles inline. PDF link - If you supply a click URL that links to a PDF document, please be sure to include a brief label as a courtesy to the reader. Example: For more information, please download our Banner Specification (PDF document, 100 kb). Delivery time - If you want us to send your broadcast at a specific time of day, please let us know. Be sure to include the time zone. If you don't specify a time, our team will schedule it for the first available time slot on the date listed in your contract. Sponsor Message - The body of the email broadcast will be offset with an "Advertisement" tagline. This tagline will exist at the header and footer of the message. The sponsor message should clearly indicate the source of the email. We reserve the right to reject certain wording within the message body to avoid confusion with editorial content. Message properties - All broadcasts contain our standard header, footer, and sender data. The From: line is not customizable. Sponsor Identification Requirement - It is editorial policy that the sponsor of a broadcast be clearly identified either in the subject line or in the body of the broadcast. If the sponsor is not clearly identified then a text message identifier will be added at the top of the broadcast to comply with editorial policy. Broadcast materials to should be sent to development@imvpublishing.com by the deadline noted in our correspondence to you. Please submit your materials as email attachments or send us a link where we can retrieve them. Your final layout file should be in HTML format (not PDF). We accept the following file types: GIF, HTM, JPG, SIT, TXT, ZIP. We do not accept self-extracting files. We require 5 business days turnaround time to ensure your broadcast passes our internal quality testing, as well as all internal and external approvals. Our copy editor will preview your broadcast (*except for DrBicuspid) for spelling and grammar before we send your proof. Although there is no guarantee we will catch every typo, we will make every effort to help make your broadcast look its best. In the event that our editor makes a suggestion for edits, you will have an opportunity to preview the proof and agree/disagree to the proposed edits. If we make edits, we will send you a final proof. Please be assured that your broadcast does not go out without your approval. To avoid multiple rounds of testing, we ask that you coordinate your feedback with your teammates prior to sending us your approval or changes. If you find an error on the proof, just send us the details so we can fix it. Please don't sent us a brand new layout file. Although we appreciate the thoughtfulness, our designers will not have time to start over from the beginning.